What is an RV Port Home? 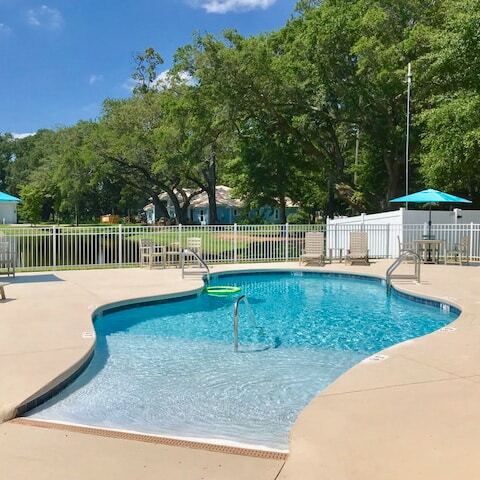 Nestled along the Gulf Coast is a cove of tranquility, a welcome retreat from today’s hectic pace. But as you sip your morning coffee in your well-appointed courtyard nestled between your Class A motor coach and small footprint home, your focus turns to a red-tailed hawk as it gracefully floats to a landing on the limb of a 200-year-old live oak in your backyard. Listen to the warm Southern breeze as it rustles the leaves of black cherries, magnolias, live and spring oaks, and palms. But from the quietness of your respite, surrounded by nature, you would have no reason to suspect what was happening just down the road. Tourists flock to the sugar-white sands of the Emerald Coast stretching from Gulf Shores to Destin while shoppers pack the Tanger Outlet Mall, and anglers steam through the Orange Beach Inlet focused on landing the catch of a lifetime. Cars board the Mobile Bay Ferry while others test their luck at the Gulf Coast casinos. The Pensacola and Mobile airports welcome and bid “ya’ll come back” to thousands daily. Breathe deeply, and with the clean crisp Southern air, you can almost smell the bubbling Creole jambalaya of New Orleans, tempting the palates of thousands aboard their cruise ships for clear, green waters of exotic Caribbean ports of call. But if you are quiet and listen closely, you’ll hear none of this. The only sounds you will hear are the soft peaceful sounds of nature, of laughter, and of friends both old and new. 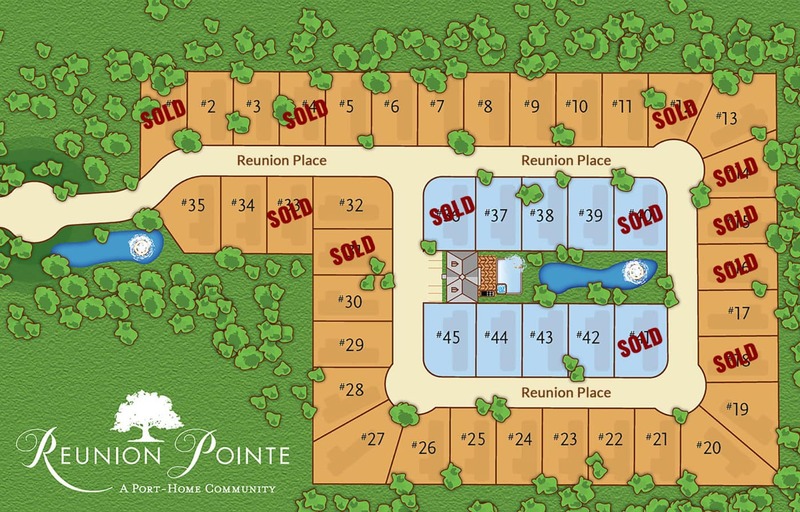 These sounds weave the backdrop of the lifelong memories that will make you want to call this exclusive community of Reunion Pointe your home or home away from home. You’ll want to enjoy the lifestyle for which you have worked so long. This is the lifestyle you have earned, the lifestyle you deserve. The lifestyle you’ll share with only 44 equally lucky couples. The perfect mix of seclusion and convenience. A peaceful enclave folded inside a world-class resort destination. Be anywhere or return to nowhere, all within a matter of minutes. See what all the excitement is about with our $299 Test Drive. 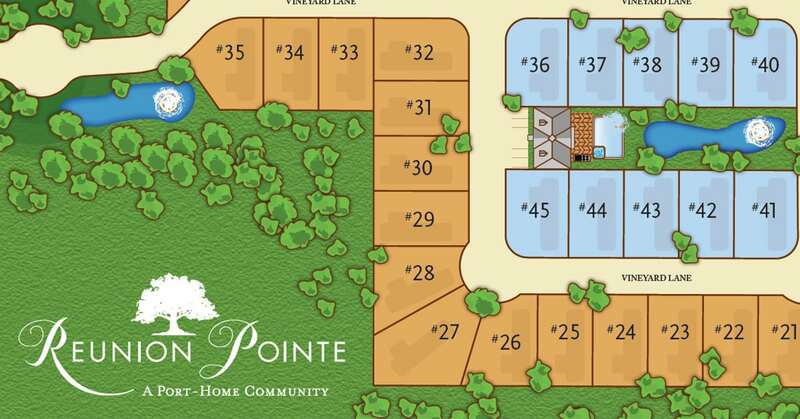 Back your Class A motor coach or Super C coach into the RV port as we toss you the keys to a brand new RV port-home. Experience 4 days and 3 nights of premium RV luxury for just $299. Extend your stay to 7 days and 6 nights for just $575. Watch the video by clicking on the image and request your reservation by clicking the link below.